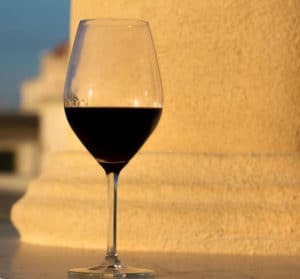 By the time you’ve read this article, you’re gonna learn a lot about the best wines in Sicily — the wines you should buy before you leave our beautiful island. Buonasera to all you travelers. Today old Don Tano, your semi-official host, and guide, is gonna list for you the best wines you’re gonna find in Sicily. You probably know already that Italian wines are among the top-rated wines in the entire world. But you may not know that Sicily is among those regions known to produce the best. 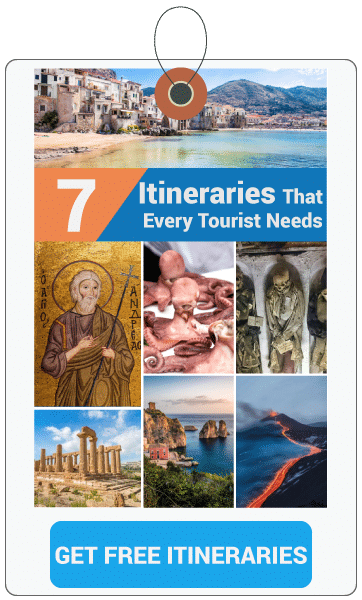 Right now, Tuscany holds the absolute top place, so you can imagine how hard it is to sort out the very best for our list. You should know that because of its advantageous location in the Mediterranean, Sicily has a long history of different cultures that gives our island a rich and remarkable heritage. The wines of Sicily give you a reflection of that and many of our wines are becoming increasingly popular. It isn’t always easy to find the right varieties in stock. But there are many truly great wines that you can choose from the right vendor. Of course, an advertising campaign can make a huge difference in determining which wines succeed in the marketplace. I’m gonna tell you a little about vintage wines and their role at your table. Some of these are table wines, wines you can proudly serve to your guests. 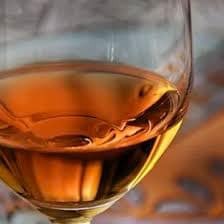 Others can be dessert wines. These are normally served with popular sweets at the end of a meal. A well-informed and gracious host will understand just which wines to serve to distinguished guests Now I don’t like to boast, but I do consider myself to be an excellent and experienced connoisseur of wine (and that only comes from plenty of tasting, but don’t tell my wife!). But nevertheless, I’m gonna offer you a listing of the best and not-to-be-missed wines you really have to try while visiting Sicily. Any thought of Sicilian wine has to start with Malvasia. This wine is bottled near the city of Messina in Northeastern Sicily. 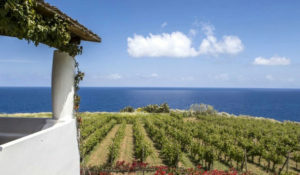 The Æolian Islands feature some of the famed vineyards that produce the grapes from which the Malvasia wine is made. 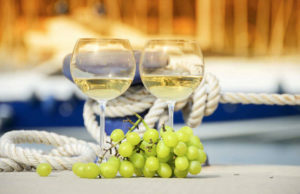 Malvasia is a sweet wine, and similar to Moscato in its full-bodied flavor. That makes it a perfect dessert wine for guests to try. Malvasia is slightly fortified (making it hold up better in travel), but not so much as some of the other Sicilian wines. Malvasia looks beautiful in the glass and many really enjoy pouring this wine at the table. Malvasia pairs well with a variety of desserts, so the choice is up to you. You can be sure your guests are gonna appreciate the subtle and warm flavors as they sip their Malvasia. Many hail Novello as one great Sicilian wine in its own right. They consider this as a newer vintage wine coming from the island too. But despite common belief among foreigners, Novello wine is not only a “new wine” that is produced after the annual harvest. It is, in fact, the result of a particular type of vinification. This method began in France in the ’30s. Novello is known for its robust and fruity flavor that is popular with many buyers. This wine alone has raised awareness of the great selection of wines on our island. 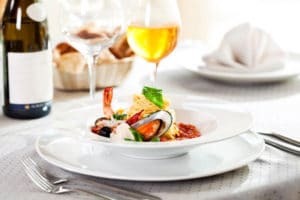 Any of the wines of Sicily are sure to impress you as well as your guests, but Novello stands out as a hearty wine for all to savor, so Don Tano suggests you start with a Novello while at table with your friends. You’ve surely heard of Chardonnay from other regions of Italy. Chardonnay has become one of the most popular varieties bottled in the country. But here in Sicily, we boast our own version of Chardonnay that shops can proudly sell to customers. Chardonnay has become the image that marks the change in Sicilian wine producers — a change born of the desire to better compete with the world in the production of this noble and widely popular wine. Chardonnay’s flavor ranges from sweet to dry. You should really try a Chardonnay from one of our Sicilian vineyards. At any vineyard, proprietors will have something to say about their own particular variety of Chardonnay. This is a good way for you to establish a relationship with a vintner whose wines really suit you. This is a white wine that is produced along the coastal regions of Sicily. You’re gonna find that this wine is typically bottled and served in the storied village of Trapani. Catarratto Bianco has a subtle flavor that is best appreciated by serious wine drinkers. 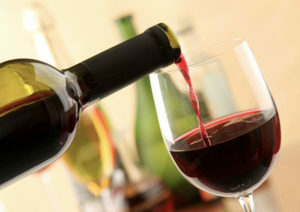 This wine has a moderate alcohol level as well and often surprises drinkers. You can pair this wine with almost any dinner dish. It makes the perfect complement to savory meals such as fish or chicken. And this will really please guests at your table as well. Everyone will be sure to really enjoy the dinner and this excellent white wine that enlivens it. Zibibbo bears some resemblance to the highly popular Muscat variety of wines. Popular thinking is that the Arabs brought Zibibbo to Sicily lo, these many years ago. Moving along through the centuries Zibibbo has become a popular wine in its own right. Zibibbo is a somewhat bolder wine with an outstanding flavor and taste. This is a wine that is often discussed and drunk by our locals. Connoisseurs from abroad have discovered the Zibibbo variety as well. They note that this wine has subtle tones that have to be tried to be appreciated. 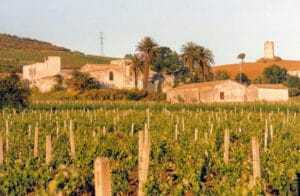 Zibibbo is considered a mainstay among wines that are bottled in Sicily. Zibibbo is often sold or served alongside similar Muscatel wines in the marketplace. You should taste these varieties to enjoy the subtlety they have to offer. This name is derived from the Sicilian word for Greek. The reason for this becomes clear when you taste the strong Grecanico variety of wine. Real wine tasters are sure to savor the strong flavor and bold taste of this variety. To add a touch of fantasy, it is grown and usually bottled to imitate some of the similar Greek wines. Grecanico also bears a strong similarity to the Venetian Garganega which has enjoyed its own popularity over the years as well. Greek wine has always been popular in Italy and is always enjoyed by many international drinkers. You’ll be pleased to see Grecanico served at tables all over Sicily. This alone is proof that this wine is here to stay. It seems that a wine from the Balkans eventually became our Primitivo variety. Now bottled in Sicily, Primitivo offers our local take on this regional favorite. 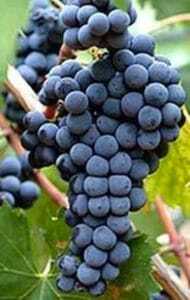 The origin of the Zinfandel wine that is so popular in California can be found in Primitivo. Primitivo is always a popular choice for both connoisseurs and those who are tasting wine for the first few times. This white wine is usually dry and has only a modest alcohol content level. You may expect the flavor to be subtle and it pairs well with many dishes. Served in a glass flute, Primitivo will please guests who are sure to notice the similarity to Zinfandel. The genetics of both grape varieties are almost identical for those who have a deeper interest. Serve this wine to guests and all will enjoy a precursor to one of the world’s most popular wine varieties on the market today. My personal favorite, although my wife, she does not care to see me bring this home. Marsala is quite strong at about 20% alcohol by volume. Many cooks are certain to be familiar with Marsala. It is frequently used in combination with other ingredients in the kitchen. Chicken Marsala is a particularly popular dish throughout much of the world. Many of course enjoy drinking Marsala at the table, And in the kitchen too! As a table wine, Marsala is the equal of Madeira and Port. Marsala is a strong wine and all three are strong in flavor as well. In Sicily, rare vintage bottles surface from time to time and represent some of Sicily’s most treasured possessions. 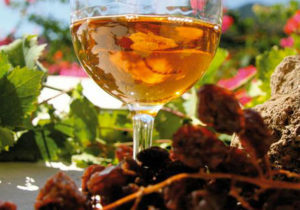 Marsala today may be divided into different classifications on the market. These will describe the hue and taste of the Marsala being served. Some prefer to research amber or ruby Marsala, unfortunately, unavailable at this time. For many years those varieties have sold so sell among aficionados that vintners can’t keep up with the demand. While some countries have introduced their own imitations of Marsala, the traditional Sicilian Marsala continues to dominate the market, and rightfully so. Curious aficionados and tourists alike want to see why this fortified wine is the most popular of its kind in Sicily. Some varieties are aged in wooden caskets for up to five years. That is the industry standard and may actually be required by law. This aging process allows the Marsala wine to attain its robust flavor. Robust in flavor, there are dozens of Marsala wine varieties available in the marketplace. And as mentioned above, rare vintages are always popular with connoisseurs since some of these varieties have been aged since the 1860s by select bottlers. The Nero d’Avola you really should look for is one that has been bottled in Sicily. Over time, this hearty red has proven itself to be highly popular, and rightly so. In addition to being a great variety, the bottlers have developed a special bottling technique that adds even more flavor and body making this a really great wine. This unique fermentation technique requires patience and dedication to get it just right. Only a handful of bottlers have the knowledge and ability to do this. If a bottler miscalculates, there is the risk of premature fermentation of the wine. That would spoil the flavor and enjoyment of this fine Nero d’Avola. Knowledgeable wine connoisseurs are always pleased with this specialized approach to readying this hearty wine. Experienced vintners and bottlers work hard to preserve and protect this wine from any condition that might spoil the fermentation process. Their dedication and careful work help keep the best Nero d’Avola here in Sicily. And today, more and more serious wine collectors and drinkers are discovering this great wine. Here in Sicily, strict bottling standards have been put in place to assure the public that the wine in a bottle is exactly what its label describes. Wise buyers know that the “Denomination of Origin” is an important bit of information to look for when laying out a considerable sum of money for a bottle of wine. This new designation gives everyone more confidence when buying wine. Since the introduction of this designation, many new and major wine vendors have entered the market. This simple “Denomination of Origin” allows sellers to showcase the techniques they use and gives buyers all the confidence they need when choosing a wine. May locals hope this will signal a new era for wine production on our beautiful island. And bottlers are gearing up to showcase all the new wines they have to offer. Well, I’ve tried to give you a list of the best Italian wines you must try when visiting Sicily. Most of those I described can be found at many wine shops as well as in our many wineries here in Sicily. Before spending a lot of money for a wine you’ve never tasted, you should know that many shops sell wine not only in bottles but in jugs that are sold to trattorias (eatery), as “vino della casa” which means “house wine” in English. That can be a good place to start in your search for a great wine. I hope I’ve given you all the information you need, but if not, just drop a question or comment below and I’ll get back to you as soon as I can. When you have guests, you can raise your glass of one of these fine wines and proclaim, “Cin cin, salute!” That’s a famous Italian toast everyone should know. Cavolo! All this talk about wine has made me thirsty.